'Almost four million face serious food insecurity’ in Argentina, declares UN official Hilal Elver after 10-day visit. Since 2014, Hilal Elver has served as the United Nations Special Rapporteur on the right to food. Foto:Courtesy United Nations. The United Nations special rapporteur on the right to food has called on the government to do more to support Argentina’s most vulnerable citizens and family farmers after concluding a 10-day visit to the country. “Argentina claims that the country produces enough food for 450 million people, yet almost four million of its own citizens face serious food insecurity,” UN official Hilal Elver said at a press conference presenting her preliminary findings. Pointing to Argentina's economic crisis and the effects of increasing globalisation, Elver’s findings urge the government to focus on family farming, enact more sustainable and eco-friendly practices and create appropriate nutrition policies. Elver, who travelled to the provinces of Buenos Aires and Chaco during her visit, reported that family farmers make up almost 80 percent of the agricultural sector in Argentina, producing nearly half of the fruits and vegetables consumed in the country. The UN official urged the government to support these small scale producers and adopt policies to support family farmers. “I understand the challenges faced by Argentina, but I am critical of the government’s decision to take advantage of the ongoing economic crisis to dismantle support for the country’s family farming sector by laying off almost five hundred workers and experts from the Ministry of Agroindustry,” she said. 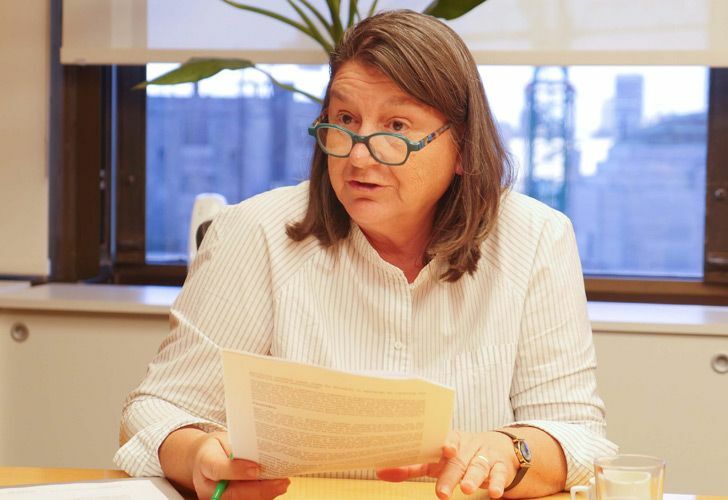 Speaking at the UN’s local headquarters in the capital, Elver said that Argentina’s economic turmoil would disproportionately affect the most vulnerable sectors of the local population such as landless peasants, agricultural workers, migrants and indigenous peoples. Her report also observed how industrial agricultural techniques are causing dangerous rates of deforestation, culminating in the loss of around 27 million hectares each year. Other negative impacts from industrial agriculture techniques includes the “enormous increase in the use of agrochemicals, including glyphosate, pollutes water and soil,” Elver added. “It has been scientifically demonstrated that these chemicals have a serious, even lethal, impact on human health,” she declared. The UN official also revealed that Argentines consume the highest amount of ultra-processed foods per capita. Some 60 percent of Argentines are overweight or obese, including 40 percent of children, making them more susceptible to diseases like diabetes. Elver urged the authorities to ensure nutrition policies were supported by fully funded healthy school meal programmes. She also called for laws to ensure informative food labelling and to control advertising of unhealthy foods targeted at children. The UN official, who also met with members of the Qom indigenous community during her time in Argentina, highlighted the warm and open reception she had received from government officials during her time in the country.